From the moment that you start unpacking the BDP-83, the first Blu-ray player from OPPO, you get the impression that their designers have paid close attention to every detail. After setting up and spinning a few discs on this Profile 2.0 Blu-ray player, even a grizzled, unromantic veteran like me is prone to reveries, imagining craftsmen in their workshops toiling over each machine. Only when they are completely satisfied, do they slip the BDP-83 into its black cloth wrapping and send it off to all the good video-loving boys and girls. Well, maybe that's not exactly how it works in the real world of printed circuit boards and modern manufacturing, but the BDP-83 seems hand tooled. And it definitely upholds OPPO's well-earned reputation for constructing DVD players that focus on the essentials, top notch video - and audio - performance. To that extent, the BDP-83 is first and foremost a Blu-ray player with all the technical specifications to please the wonks, like Anchor Bay's Video Reference Series (VRS) technology and 7.1 channel analog audio outputs. More importantly to me, underlying all the gee-whiz tech, the OPPO designers have remembered the human element. The BDP-83 is simply pleasant and easy to use. With almost every feature or interface, I feel that someone has made the extra effort to consider, "How should this work or look?" And then they delivered. I remember the first discussion I had with OPPO representatives about when their maiden Blu-ray player would be released. It was almost two years ago. They took their time, but the wait for the BDP-83 was worth it. The result is a king-of-the-hill Blu-ray player with all the attributes that earn it our Highly Recommended award. As I mentioned, just taking the BDP-83 out of its box, with the elegant and inventive packaging is an indication of good things to come. As is their custom, OPPO includes an HDMI cable, which makes setup just that much simpler. 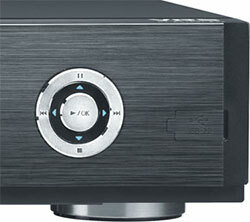 Weighing 11.2 pounds, the OPPO BDP-83 is definitely the stoutest Blu-ray player that I've encountered. Considering all the video and audio processing muscle packed inside, I'm not surprised. Though boxy, its brushed black face gives the BDP-83 a refined look. The front panel display window is spacious allowing room for a large, easy-to-see readout. 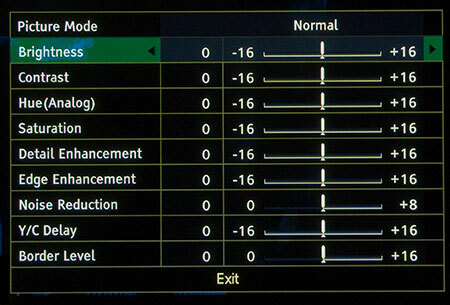 If the Vacuum Fluorescent Display (VFD) window is too bright, you can dim it or turn it off by clicking on the Dimmer button on the remote (or selecting the option in the Device Setup sub-menu). Next to the Playback Control wheel, on the right side and under a flip-out door, the first of two USB ports resides. The second is on the back panel. Also back there are all the connections that a home theater maven would desire starting with those eight analog 7.1 channel audio outputs. In addition OPPO provides two digital audio outs (optical and coaxial). For those with a stereo receiver, OPPO hasn't abandoned you. A dedicated pair of stereo audio analog outs are matched with specially optimized Digital-to-Analog Converters. For the video connections, OPPO includes one HDMI out, one set of Component Video (YPbPr) outs and a Composite Video out (use only for troubleshooting purposes, please). Also on the panel are three connections that are employed in home theater installations. The two IR Controls (In and Out) can route remote control signals. And for an additional $89, you can add an RS-232C port that can link to external media controllers. The software tied to the LAN port allows the player to connect to movie studios' Internet sites to download BD-Live content. But you cannot tap into your home media network with this Ethernet port nor does this player offer any links to Internet content providers like Netflix. If there is one feature that I would like to see on the BDP-83, it would be the ability to network with my PC. Transferring photos, music or video files from my PC to the player with a USB drive is an extra step that I would prefer not to make. But that is what is required with this OPPO. As a salve to this wound, the programmers have built one of the best interfaces for playing back media files that I have had the pleasure to use. I appreciate the flexibility of the slideshow options. You not only can choose from three speeds, but also can select from fourteen different transitions including splits, wipes and boxes. To supplement your photo presentation, you can play a music file as accompaniment. Of course, if you just want to listen to your favorite tunes, you can construct a playlist from the files on the flash drive. For downloading BD-Live content, the BDP-83 furnishes 1Gb of internal memory. To expand BD-Live storage capacity, you can attach a flash drive to the USB port. The roomy remote control lights up whenever you press any of the well-labeled big buttons. The layout is conventional and the buttons are spaced far enough apart that you don't accidentally push the wrong one. Simple design decisions like that save time and aggravation. Another favorite is the fact that you can access the Setup menus while a DVD is playing. Many Blu-ray players make you stop the DVD first, which often means a long load time to start it again. With the OPPO, you can make adjustments without the hassle of stopping the disc. Everywhere you turn, you will find ergonomic touches that make the BDP-83 easier to operate. But perhaps the most important user-friendly, life-comforting part of the OPPO package is the manual. The authors not only do a great job of explaining - in plain English - the many-layered features of the the BDP-83, they also give you clear guidance on which options to select. The cover states, "READ CAREFULLY BEFORE OPERATION." Don't take it as a warning. Think of it as an invitation to learn more about this Blu-ray player. The EPA is now publishing a list of ENERGY STAR qualified TVs. (You can find it here.) But the EPA is still in the midst of setting testing procedures for the Version 2.0 ENERGY STAR Audio/Video Specification, which includes devices like Blu-ray players and AV receivers. It will probably take another few months before the EPA will begin to generate a list of ENERGY STAR qualified Blu-ray players, therefore, we ran our own set of power consumption readings. To measure power, we hooked the BDP-83 up to our watt meter, called Watts up? Pro, and took a reading during playback of a Blu-ray movie and another in standby mode. During playback, the meter ranged between 24.8 and 25.3W, which is about 2 to 3W higher than the other Blu-ray players that I have reviewed recently. When I hit stop, curiously the meter rises to 27W before it starts dropping and finally resting at about 23.8W. As soon as I turned the power off, the meter tumbled to 0W and it didn't waver. In the manual, OPPO states power consumption as 35W (0.5W Standby). By a wide margin, the BDP-83 has the fastest startup time of any Blu-ray player that I have seen. Taking less than 30 seconds to go from power off to video, you barely have time to nestle into your seat before the FBI Warning appears. Even though I feel OPPO has built a sophisticated machine, the whole Blu-ray industry is still experiencing growing pains. And it's not just the technology. The programming on Blu-ray discs is not totally standardized, which causes occasional playback problems. For example, the Maximum Movie Mode content on the Director's Cut of Watchmen gives fits to almost every Blu-ray player that I have tested. With the BDP-83, the problem is minor. It freezes at one point and you need to hit the Next button to advance. OPPO is aware of the situation and their engineers are looking into a firmware update solution to what I consider a Blu-ray disc problem. The point of this story is that no matter how robust a player is, when you setup your unit, you should always check for firmware updates. OPPO facilitates the process by offering a Firmware Notification feature in the Device Setup menu. Of course, you will need your BDP-83 linked to the Internet for the notification feature to work. If not, you can check on the OPPO website. I realize that many of you do not have your TV room wired for the Internet. And if you do not desire to tap into online BD-Live content, there really is no compelling reason to hook the BDP-83 up. If you could network the machine into your home media network, I would feel differently. With that said, attaching a cable from your router to the Ethernet connection and setting up the network is simple. As I mentioned, OPPO does offer a wireless solution that consists of two small boxes (a transmitter and a receiver). I haven't tested this system out, but if OPPO is involved, I would assume that the setup procedure is well documented. 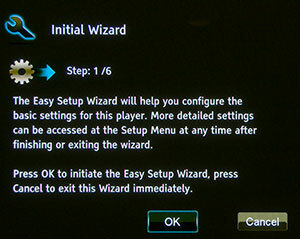 Another example of OPPO's nod to their customers is their Easy Setup Wizard that appears the first time you fire up your BDP-83. The Wizard walks you through a series of questions about your equipment, like "Choose the Primary Video Output." To reiterate, the manual is helpful in explaining these steps. In a few short minutes, you should be finished and ready to enjoy your Blu-ray heaven. I know that OPPO DVD players attracts videophiles like car jockeys to muscle cars. And the BDP-83 is bursting with video and audio adjustments that will delight the tweak-happy. 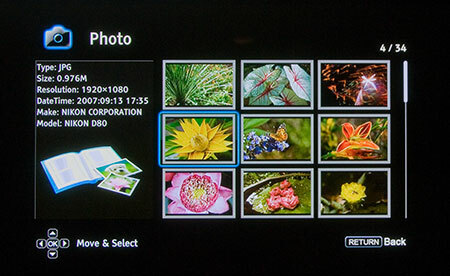 The Picture Adjustment menu supplies nine tools including choices like Detail and Edge Enhancement along with the more common Brightness, Contrast and Saturation. On the audio side, you can select output formats and configure your speaker setup. As a general rule, I recommend that you first make audio and video adjustments either on the TV or your AV receiver. If you feel that you need to tune a little more, then go into these menus on the OPPO. 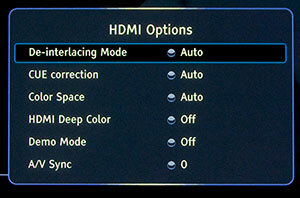 I'm not planning on detailing all the choices available, like in the HDMI Options sub-menu. (Read the manual.) I will highlight a couple. The BDP-83 can convert DVDs to either PAL or NTSC, though you still need to be aware of compatibility issues with the Region Codes on the DVDs. If you are connecting to a projector with an anamorphic lens, you should experiment with the Stretch mode, which vertically stretches the image by 1.33 times. The manual states, "For movies with 2.35:1 aspect ratio, this zoom level cuts off the black borders at the top and bottom of the image." Also, the Zoom function looks very good with Blu-ray content, even at 2x. 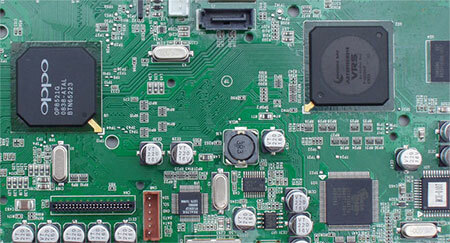 Video performance was everything that you would expect from a circuit board that contains the burly Video Reference Series (VRS) technology from Anchor Bay. As proof of the BDP-83's processing power, in my review package, OPPO included the Spears & Munsil High Definition Benchmark Blu-ray DVD. Among the different stress tests on the disc, the OPPO's playback of the Source Adaptive Deinterlacing Clips set it apart from most of the other Blu-ray players that I have been reviewing. The clip of the race car whizzing past the bleachers checks overall deinterlacing performance. The BDP-83 aced almost all the cadences thrown at it, even the less common ones. Other players I have tested do just fine with the more common 2-3-2-3 cadence and the more important 24p clip, but usually exhibit the telltale moire pattern in the bleachers on the odder cadences like 2-2-2-4 and 6-4. Now if you have no idea what those last two paragraphs meant then let me boil it down. The video performance of the BDP-83 is as good or better than any of the other players that I have reviewed. And if you need to tweak the image even more, this unit provides a picture adjustment toolset that you will not find in almost any other player. As for audio fidelity from Blu-ray discs, the BDP-83 delivers high end sound in a multitude of digital and analog formats. I even believe the sonic output is so good that this Blu-ray player would compete quite well with upper crust CD players. I just hope that if you are planning on spending the extra dollars on this OPPO, that you consider plugging it into a speaker system that will do it justice. Finally, I must report on my experience playing the new release of the Dollhouse Season 1 three disc set. Simply, every one of the discs froze up before I could play any of the episodes. Unlike the Watchmen experience that I mentioned above, nothing would move the disc along. I have talked to OPPO representatives and they already were aware of the problem (studios are adopting new encryption methods) and were working on a firmware solution. I bring this up for two reasons. First, Blu-ray standards are constantly evolving. It's sad to say, but you can't expect every new Blu-ray release to work perfectly in every player. Which leads to the next point. Second, and more importantly, you need Blu-ray player manufacturers to be nimble enough to keep pace with the changes. I think OPPO is among those manufacturers that have proved to be responsive to its customers and their needs. I judge the BDP-83's MSRP of $499 in two contexts. Comparing it to players that also offer 7.1 analog outputs like the Pioneer BDP-320 and the Samsung BD-P3600, the OPPO is $100 more. The Pioneer has similar features to the OPPO. The Samsung offers even more value if you desire wireless connectivity or Netflix streaming. The question becomes does the BDP-83 present a compelling value proposition to its competition? In my opinion, if you don't have a large screen home theater system, then this he-man of a Blu-ray player may be overkill, especially on an HDTV smaller than 40". If you do have a bigger display, then every extra ounce of processing power may pay dividends on screen. Also, the external IR ports are a value added benefit for integrating the unit into a home theater control system. Perhaps what is harder to appraise are all the little extras that the designers have built into the BDP-83 - the ease of use, the stylish interfaces, the comfortable remote - all the intangibles that you can't see on the screen. When you add those into the equation, then I think the BDP-83 definitely provides good value. In the context of a larger consumer electronics marketplace, I think that as a group, Blu-ray players cost too much, as do Blu-ray discs. I understand the realities of R&D and manufacturing costs, but the Blu-ray industry could provide the consumer a little stimulus with lower prices, which would goose their adoption of the format. With the BDP-83, OPPO has crafted a brawny Blu-ray player with impressive video and audio processing power wrapped in a package that's easy to use. The unbeatable combination earns the BDP-83 our Highly Recommended award.